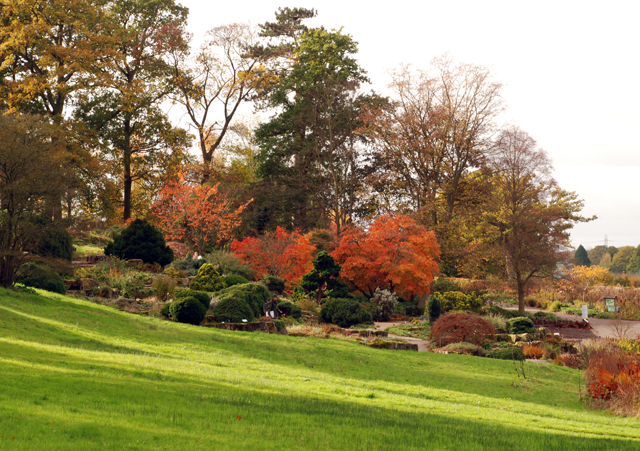 I had a meeting at Wisley yesterday so I took the opportunity to walk round the gardens and take a few pictures beforehand. 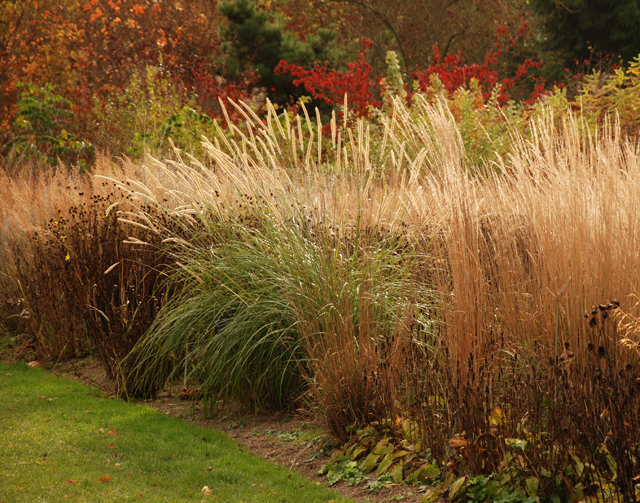 The grasses were looking stunning, especially along the glasshouse borders. It was a blustery day so the not the greatest environment to take pictures, but I think some have come out reasonably well even if there are a few blurry bits in some of them! 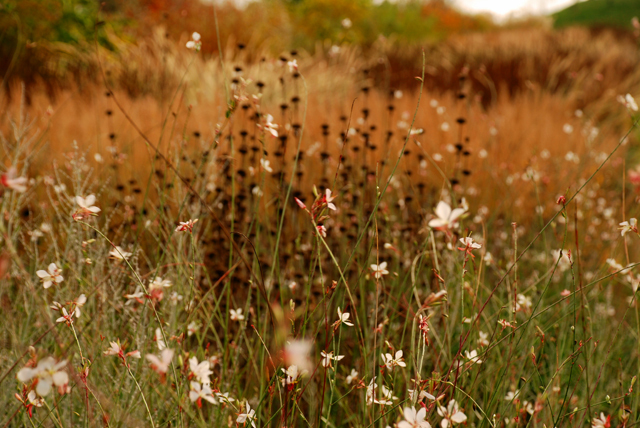 The Gaura was still flowering – it’s such a great perennial with grasses because it only needs the slightest breeze to create movement. 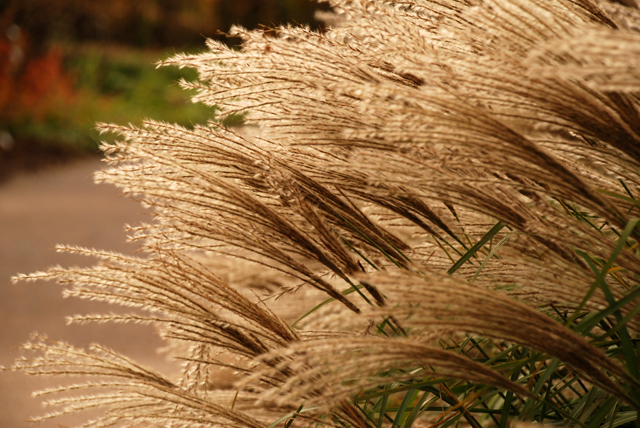 Grasses are such versatile plants that can be used in both formal and informal situations. 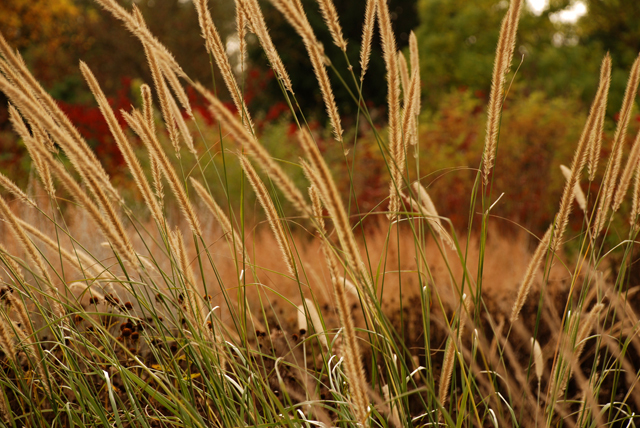 Depending on the look you are trying to create, there will be a grass that’s fit for purpose, whether you want a neat and tidy form such as Calamagrostis or something less formal and more showy like Pennisetum. 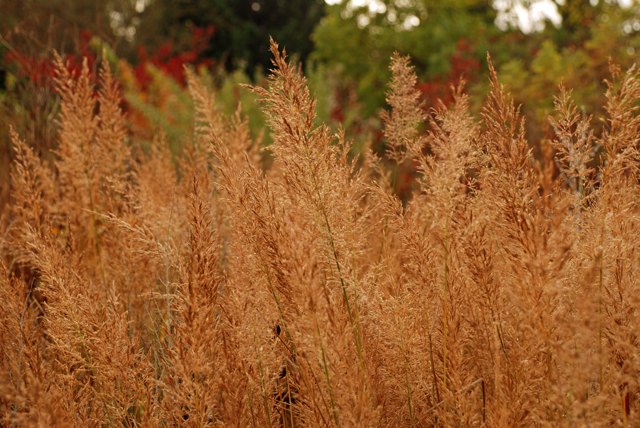 Perennials also play a big part in the garden in autumn. 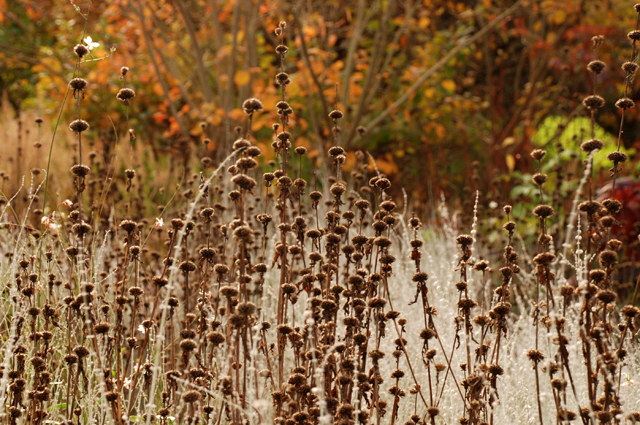 Often the seed heads have a strong form which looks great when the first frosts appear. If you like everything to be neat and tidy then this look probably won’t be for you, but the effects can be pretty dramatic, especially when they catch the sunlight. 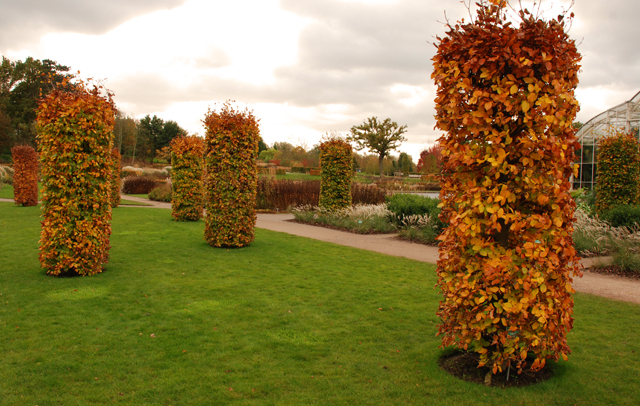 I’ll leave you with this image of the sculptural beech columns outside the glasshouse. They look quite dramatic at this time of year. 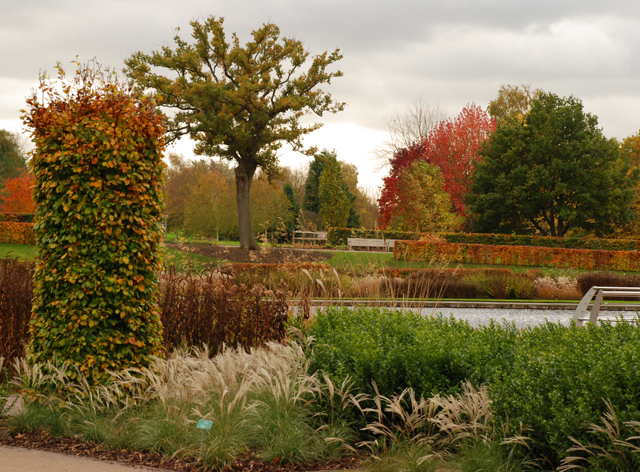 There’s plenty to see at Wisley even at this time of year and the Christmas Craft and Design Fair is on from 27th November to 1st December so why not do some Christmas shopping at the same time!? What absolutely stunning photographs Lisa!